The Bottom Line: Another round of snow with warming temperatures and strong winds will create slab avalanches. The additional shot of snow will continue to stress multiple deeper weak layers in the snowpack in the East Cascades, which could create very large avalanches. Avoid avalanche terrain if you see recent avalanches, shooting cracks, or hear whumphs. Widespread avalanches occurred over the weekend and into the week. On Saturday, Mission Ridge Ski Patrol triggered multiple avalanches up to 3 feet deep on northwest through northeast aspects between 6-6500ft. To the north, a skier was caught and carried in an avalanche in the Cutthroat drainage near Washington Pass. Observers noted remotely triggered avalanches near Mission Ridge and a natural avalanche at Blewett Pass. 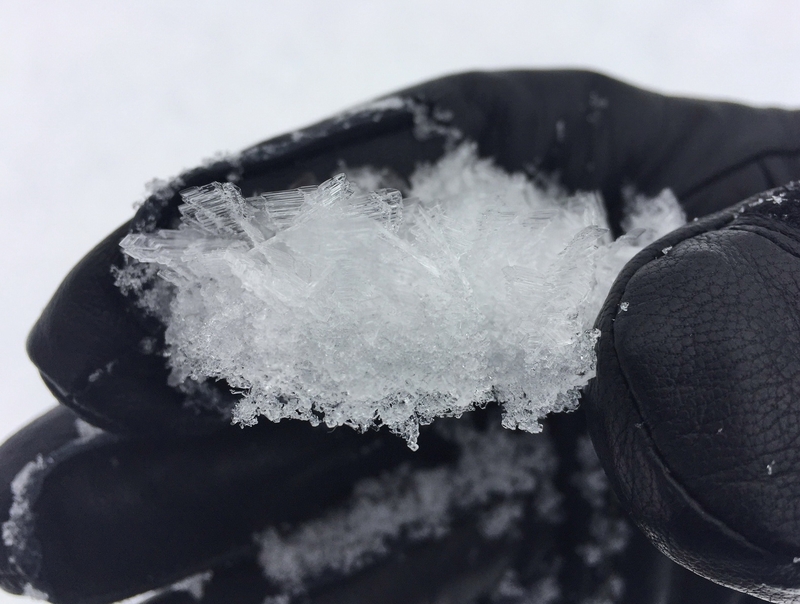 Observers continue to find instabilities and on a layer of buried surface hoar from January 17th, even at elevations as low as 4,600ft. Deeper persistent weak layers still exist within the snowpack, especially further east in the range. All over the East Cascades, these layers are being stressed to their breaking point. Will the added load overnight into Wednesday be the straw that breaks the camel's back? Be sure to check out the observations page for a number of recent, excellent entries! Post-frontal showers continue to wind down this afternoon and should taper off completely in the early evening. A strong upper level ridge will rebuild offshore Wednesday night and become the dominant weather feature for the next several days. Some low-level moisture/clouds will likely be trapped along the west slopes of the Cascades Thursday under the ridge. While cloudier conditions are expected along central-west and northwest Cascades, afternoon cloud cover should decrease for areas further south including the south Washington Cascades and Mt. Hood. The east slopes of the Cascades should enjoy mostly sunny skies on Thursday. Freezing levels will be on the rise in general, but will make for a tricky forecast with warm air struggling to make inroads for the north and central Cascades. Higher freezing levels are a better bet over the Olympics and the Mt. Hood area. A dry shortwave trough passing through in NW flow aloft will temporarily flatten the ridge and bring an increase in mid and high level clouds Thursday night. On Friday, the upper level ridge will quickly rebuild, but we will left in a repeat scenario with the central and north Cascades struggling to take advantage of the warmer air to the west and south. Also, NW alpine winds will become moderate to strong following the trough's passage on Friday. Heavy snow, warming temperatures, and strong winds overnight into Wednesday will form thick slabs. Winds will drift the new snow into deeper slabs at upper elevations. What is the new snow sitting on? Is there strong over weak? Is the new snow cracking, or do you see recent avalanches? If you find these, avoid slopes steep enough to avalanche, including small gully like features that could increase your consequences of even a small slide. Beware of the large avalanche paths in the area as well, and don’t get up underneath large slopes. Put a large buffer of terrain between where you travel and any avalanche path. Slides may wrap around terrain features and surprise you and your group. Reactivity of these persistent layers will increase as we get another load of precipitation and strong winds. To the east the main concern lies in triggering the whole snowpack to the ground. Further west, the main layer of concern is surface hoar that was buried on the 17th. You can find this most readily on sheltered but open, shaded slopes, above the valley floor. Look for shooting cracks, recent avalanches, and listen closely for whumphs. Lack of evidence in one profile or snowpack test shouldn't be a reason to travel in more consequential terrain.